Walking along the wide, tree-lined Main Street of downtown Greenville, S.C., it is hard to imagine that just 40 years ago the same path was deserted. Dozens of locally owned restaurants, luxury condos and hotels, and bustling shops belie the city’s history. The city is now a hub of advanced manufacturing, engineering, information technology, and other high-growth industries. Like many other former mill towns across the South, Greenville’s economy centered on textile manufacturing for much of the 20th century. But unlike many others, Greenville successfully diversified its economy before globalization and technological innovation sent many jobs overseas. In the early 1970s, Michelin invested in the Upstate region, followed by several other automotive manufacturers, and by the mid-1990s, BMW had established a major auto assembly plant in the area. But despite Greenville’s strong economy and national recognition, not all of the city’s residents have benefitted from its prosperity. “A young person’s economic prospects should not be determined by his or her zip code,” says John Concklin, program investment manager at United Way of Greenville County. “Unfortunately, in the area known as the ‘White Horse Corridor,’ prospects for a successful future are tough—32 percent of households live in poverty; 66 percent have only a high school diploma or less; unemployment is greater than 25 percent in some sections; and the city’s lowest performing high schools are found here.” In many of these neighborhoods, students lack the work experiences and information they need to make decisions about how to prepare and compete for family-sustaining jobs. For some students, particularly those living in neighborhoods with high unemployment, there is mistrust of manufacturing jobs, since their parents were laid off when textile jobs were outsourced. This post is adapted from a profile written by Beth Caldwell. You can read the full profile and to learn more about Greenville is working to build an infrastructure of opportunity for young people here. This post originally appeared on the NC Policy Watch blog. To learn more about building an innovation economy in North Carolina, check out a new report from the Budget and Tax Center: Choosing What Works – Let’s Build an Innovation Economy for All. What’s one thing that all places in North Carolina have in common? From our booming metros to our small towns, from Roanoke Rapids to Cullowhee, income mobility for low-income young people in this state, and in the South in general, is far worse than in other U.S. regions. It’s surprising to learn that even in our most economically dynamic places like Charlotte and the Triangle, people who grow up in families at the low end of the income distribution are likely to stay there as adults, and only small numbers make it to the middle or top. According to data from the Equality of Opportunity Project, for young people born in the bottom quintile of the income distribution in the Triangle, 37 percent will stay there as adults, another 29 percent will only move up one quintile, and a mere 5 percent will make it to the highest quintile. Over the past two decades, Durham has moved from a low-skilled, tobacco-reliant community to become the “City of Medicine” and a Southern center of culture and creativity. Its dynamic, knowledge-based economy is a magnet for the health, pharmaceutical, biotechnology, and IT industries. 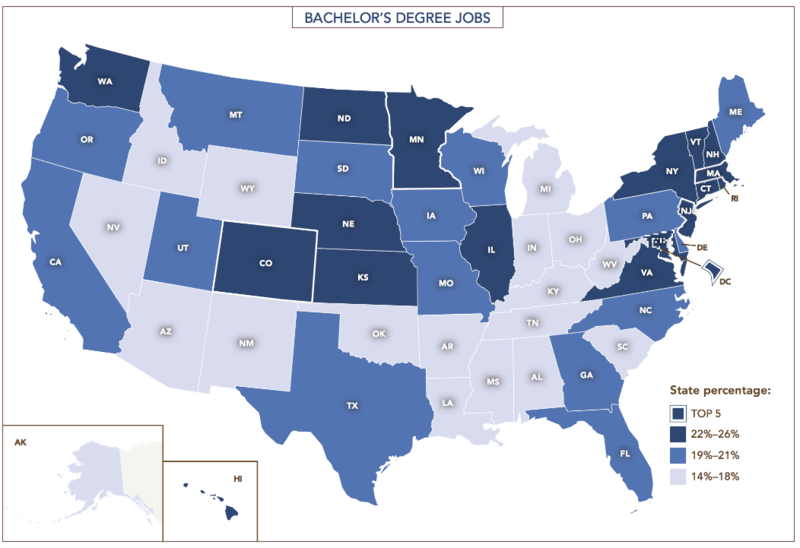 Its universities and Research Triangle Park, both created and sustained through a history of public and private investment, are rich in employers and in the middle-skill jobs that pay living wages for new recruits, boasting an employment rate projected to outstrip the state and the U.S. by 2021. Yet, despite this thriving market, too few youth and young adults who grow up in Durham, particularly youth of color, are getting these good jobs, and too few have the academic and workplace skills to compete with more qualified candidates from other cities and states. Many struggle to find their way through a fragmented collection of institutions and organizations that are working to support young people but are not always well-resourced or working together. Much of this reflects Durham’s history as a tobacco and textile manufacturing center, where employment was not conditioned on education or credentialing, along with a legacy of race-based inequity in educational investment and expectations. 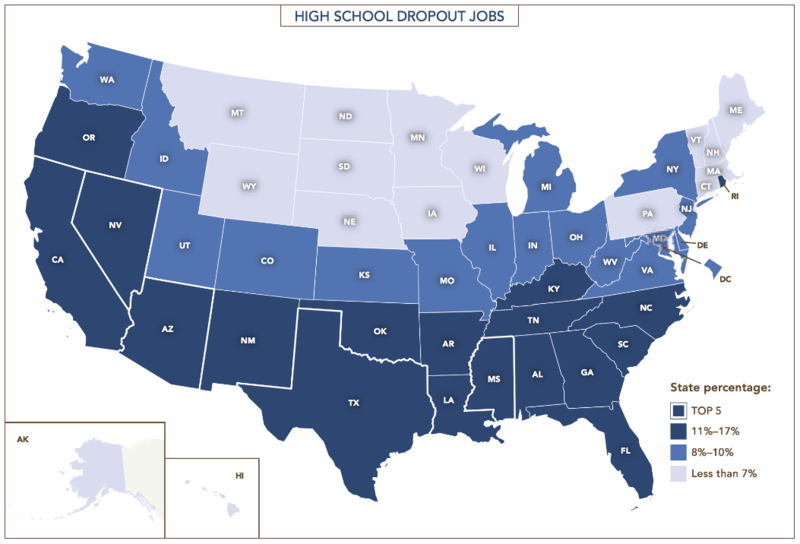 As David Dodson wrote in MDC’s State of the South report, “The result today is ‘two Durhams’—one prosperous and positioned to capitalize on abundant, emerging economic opportunities, and another increasingly disconnected and lacking the education, experience, and social connections needed to connect to prosperity that is close at hand geographically but painfully out of reach.” In that report, we proposed that places like Durham must build an infrastructure of opportunity, or a clear and deliberate set of pathways and supports that connect youth and young adults to postsecondary credentials and economic opportunity regardless of background. The infrastructure of opportunity is about more than just lifting up young people who are growing up in poverty—it’s about investing in opportunity for all young people so the community has a strong foundation for long-term success. The places that have better outcomes for low- and middle-income young people tend to have better outcomes for high-income young people, too (see Equality of Opportunity Project), indicating that the types of resources, systems, and investments that matter for the economic and educational success of young people are beneficial across the board. A new partnership of private-sector, education, government, and civic leaders in Durham believes in that kind of investment. The goal of Made in Durham’s high-level, cross-sector leadership is to equip Durham youth with the credentials and experience required to gain entry-level, living wage employment in the sectors that are driving the local economy. Made in Durham seeks to support and enable an education-to-career system that addresses historic disparities. Central to its work is a deliberate strategy to advocate for the alignment of demand and supply—a strategy that will satisfy the needs of employers and young people. That requires engaging major employers as strategists, advocates, funders, and lead participants in creating career pathways and work-based learning opportunities while simultaneously investing deeply in youth engagement to give young people, especially those poorly served by existing systems, a strong voice in strategy-setting and design. The work began in 2013 when the Made in Durham Task Force was convened to examine what it would take to ensure that young people succeed in the labor market and that employers benefit from more home-grown talent. In Durham, a health-care innovator and then CEO of the region’s largest employer, Duke University Health System, Dr. Victor Dzau, recruited change-oriented peers to populate the task force. He was attracted to join the effort not only because of the hospital’s role as a major employer, but also because of the growing recognition in the public health field of “the social determinants of health”— the concept that weak health and social outcomes are directly related to levels of economic inequality present in a society. Addressing youth employment by connecting young people to living-wage jobs offered Durham a lever to narrow income inequality and raise health outcomes. During 18 months of research and planning, the Task Force was staffed by MDC and supported by a Policy Working Group composed of senior executives from each of the public partners and additional representatives from the nonprofit, academic, and employment sectors to provide operational expertise and perspective to the Task Force. Both groups wrestled with how to gather data, track progress, and organize and align resources—existing and new—most effectively. At the end of the design phase, Made in Durham Task Force members incorporated a nonprofit organization with a small staff to serve as a backbone organization and convener for the partners. Members of the Policy Working Group continue to advise, and a youth network has been carefully recruited to reflect the diversity of Durham’s youth population. This network includes young people in high school, college, and alternative education programs. Two representatives will be voting members of Made in Durham’s board, and the group is planning youth-led action research projects for the coming year. Many Task Force members have transitioned to board service, thus maintaining a leadership group composed of top business CEOs; education and public sector leaders, including the Superintendent of Durham Public Schools, President of Durham Technical Community College, Chancellor of North Carolina Central University, the Durham City Manager and Durham County Manager; and community advocates. This board is distinctive in that it is employer-led, and every member— private, public and nonprofit—is a CEO or the highest ranking member of their organization, able to make decisions and commit resources. The board’s primary objective is to foster alignment between the talent development system (education and workforce) and major employers in growth sectors of the economy. In the near term, their task is to support frontline education and workforce institutions—Durham Public Schools, Durham Technical Community College, North Carolina Central University and the Workforce Development Board—as they construct career pathways that lead to post-secondary credentials and good jobs. (The first pathway, in health and life sciences, will serve as a prototype for subsequent ones.) This year, Made in Durham partners also supported the City’s Youth Works Internship program with additional recruitment efforts for summer jobs, an important step in marshaling private sector leadership to provide substantive work-based learning for youth in sectors that are driving the Durham economy. In the longer term, the role of Made in Durham board, staff, and partners is to help shift the culture so that employers see youth investment as a part of doing business—and doing smart business, not just charitable business—in the Research Triangle. This post includes contributions from MDC’s Abby Parcell, David Dodson, and Richard Hart. The situation is particularly acute in the tech industry, where average full-time employees earn more than $115,000 a year, along with generous benefits like child care, gourmet cafeterias and luxury shuttle rides to work. Many of the contracted service workers — who take care of the children, cook the food or drive the shuttles — earn near poverty-level wages and often do not receive basic benefits like sick leave. In Santa Clara County, in the heart of Silicon Valley, the median hourly wage for software developers is $64 an hour, and from $11 to $14 for groundskeepers, janitors and security guards, according to Working Partnerships U.S.A., a local labor policy advocacy group. Eighty-eight percent of computer jobs provide paid sick days, compared with 41 percent of building and grounds-cleaning jobs. Three to 4 percent of tech employees are black or Latino, and about 75 percent of janitorial and maintenance workers are.